Jeffrey Scott Parsons: "Shut up. I'm not projecting." "Shut up. I'm not projecting." Some do it out of love, others do it to be right. 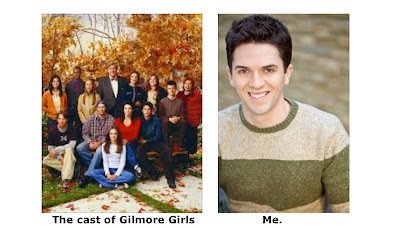 Me, I argue cuz I want to be a character on Gilmore Girls. Fights on Gilmore Girls seem like they'd be so much fun with all those words, the quick banter, the obscure pop culture references... It turns talking to people into a sporting event, as if suddenly we're tennis balls at Wimbledon bouncing back and forth and back and forth until one references something from the beginning of the conversation that puts a nice little button on the scene right before we head into commercials. Is that too much to ask?! The problem with this dream of mine is so few people are willing to play the Amy Sherman Palladino rules of Gilmore conduct. 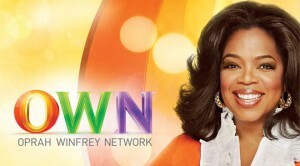 And the latest, greatest offenders to that roster of poor sports come to us directly from the good people at Oprah Winfrey Network. That's right, I'm blaming OWN! For the record, I'm not blaming OWN. I don't want to make enemies with her highness, and I absolutely watch Iyanla Fix My Life more than any white dude. Not to mention that one of the key factors to my belief that our society is on the brink of a spiritual awakening is the fact that cable television has OWN as a viewing possibility! It inspires people to turn inward and raise this world to a whole new plane of living, and in that lies the problem! You see, people are tuning into OWN, they're learning, they're practicing what they've learned, and then they're bringing it into my previously sportsmanlike conversations. Some of their more popular enlightened phrases include such nuggets "Just do you boo," "light and love," and my personal favorite, "You're projecting." So now instead of being able to utilize my Gilmore techniques of wit, sarcasm, and irony, I'm feeling pressure to actually say what I feel. And that's just not as fun. Let's take an example. Say you're a young, handsome guy, currently making a living as a musical theatre performer, and you've just finished a long rehearsal. So now you've got your blinders on, driving home, thinking about your bed, when suddenly you realize you forgot to pay your credit card bill. And now you're on the freeway, stressing out over late fees, credit reports, and why there is still traffic in Los Angeles after 11 PM! Cut to, you get home a complete frazzled mess, and the first thing you see as you walk through the door is someone on their hands and knees scrubbing a brand new stain out of your carpet. Now, in my fantasy Gilmore world, I would walk into said situation and sneer something like, "Look, Mrs. Meers, I said no more soy sauce!" which, as everyone knows, is a tip of the hat to the Thoroughly Modern Millie. But, of course, that isn't very enlightened. After armed with some terminology from Deepak Chopra, what I'm supposed to do is come through the door and say, "You know, I would really like to be angry right now, but I'm going to fight that urge, because I know it's just me projecting the frustration I have with myself, and instead I will recognize you in your desire to make this place a clean habitat for all who dwell here." So here's my point, can we please have the spiritual enlightenment without having to audibly take people through it? Nothing shuts down a conversation faster than a diagnosis. I mean, what's the last great conversation you heard that began with, "You have cancer." Which reminds me, finding spiritual truths does not give you permission to use them as ammunition. Say I throw a little jab at you to get something going one afternoon, and all you give in return is, "You're projecting." Now how am I supposed to come up with a snarky response to that!? I can't! In fact, that phrase will probably induce big time, projectile projecting regardless of whether or not it was there to begin with!! Why would you do that!?! OK, now I'm projecting. I'm sorry; I'm not angry at you. I promise. I also promise that I am honest in my life. I share my feelings when appropriate, and maybe even a few times when it's not. So can I please just be a Gilmore Girl every now and then? 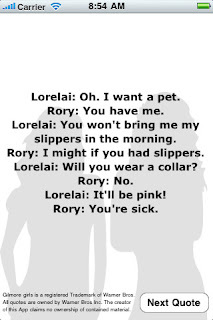 Otherwise, I'll have to buy an iPhone and download this app that allows you reread random Gilmore Girls dialogue. And that's just going too far.